As part of a Blog Tour organized by Great Escapes Virtual Book Tours, it’s my turn to tell you about Tangled Up in Brew (A Brewing Trouble Mystery) by Joyce Tremel. This was a fun read. Max and Jake are likeable characters, with nice chemistry between them. I liked the back story, how they met years ago and only recently became a couple. Even though I am not much of beer drinker, I found the tidbits of information on the brewing process interesting – the author included enough to give you an idea of how it works, but not so much as to make you want to skip ahead to get back to the story. 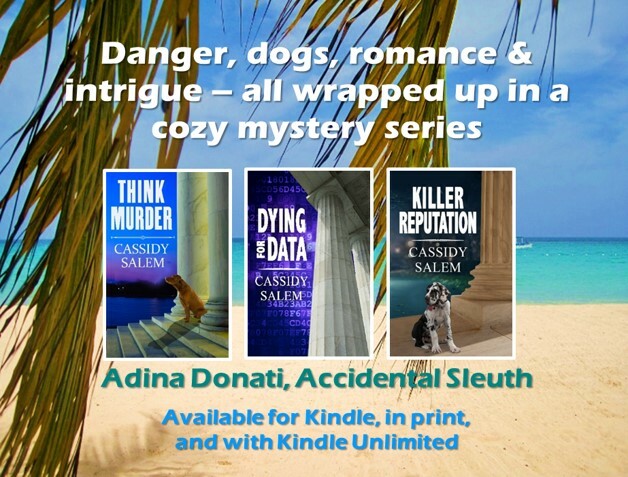 With a well-paced plot and the backdrop and characters typical of a cozy mystery, I found this to be a very enjoyable light read. Click here to enter a Rafflecopter giveaway for a chance to win one of three print copies for Tangled Up in Brew. Her debut mystery, To Brew Or Not To Brew , was nominated for the 2015 Reviewers’ Choice award for best amateur sleuth by RT Book Reviews. The second book in the series, Tangled Up In Brew was released in October 2016. “Tangled Up In Brew” sounds like an amazing new series. Looking forward to reading. Glad you could stop by today, Dianne. Hope you enjoy Joyce’s book. I love cozies! Haven’t read any with beer featured, though. Sounds like a fun read!